While the Islanders did not make a move at the trade deadline there will be a new face in the lineup when the Isles face Dallas on Thursday night. Joshua Ho-Sang, already recalled twice this week, will make his NHL debut. Ho-Sang, the 28th overall pick in 2014, will become the 26th first-rounder from that draft to make it to The Show. Ho-Sang earned his call-up by going 10-26-36 in 48 AHL games; he was leading the Sound Tigers in assists at the time of his recall. Ho-Sang, who earned AHL Player of the Month honors with a 5-10-15 (+9) February, will be the first Islander to wear #66 in a regular season game. However, some great research by Josh Millard uncovered stories of two others who wore 66, although not in a regular season game. Gilles Thibaudeau wore the number in the Isles 1989-1990 Yearbook. When the regular season started, Thibaudeau wore #38. 61 remains the lowest number never worn in a regular season game by an Islander; 65 and 69 have also never been worn. 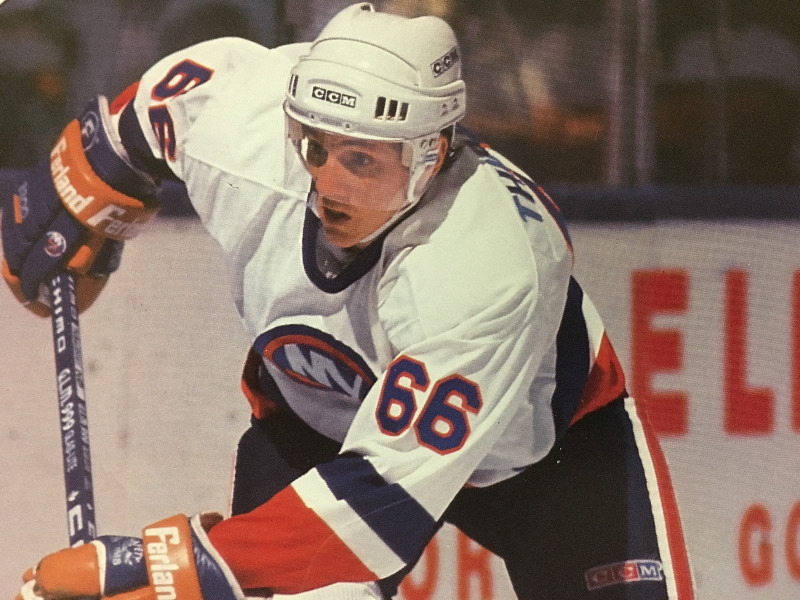 Of the 98 possible uniform numbers (99 is retired league-wide) #66 is the 82nd to be used by an Islander.